THERE ALMOST HERE!!! I AM PLANNING A LITTER OF TRI COLORED F1 AND A SPECIAL LITTER OF F1B SAINT BERDOODLE PUPPIES THAT WILL READY TO GO TO THEIR NEW HOMES AROUND LATE SPRING OR SUMMER!!! THE F1B LITTER WILL BE UNIQUE AND DIFFERENT. JUST GIVE ME A CALL AND I CAN EXPLAIN WHAT I AM PLANNING. IF YOU WOULD LIKE MORE INFORMATION ON HOW TO GET ON THE WAITING LIST JUST GIVE ME A CALL OR SEND ME A TEXT/EMAIL. HERE IS MORE INFORMATION ON THE BREED. IF YOU ARE LOOKING FOR THE PERFECT SAINT BERNARD, THEN YOU HAVE COME TO THE RIGHT PLACE. A SAINT BERDOODLE IS A CROSS BETWEEN MY ABSOLUTE 2 FAVORITE DOGS, THE SAINT BERNARD AND THE STANDARD POODLE. 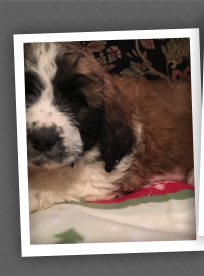 IF YOU ARE LOOKING FOR THE PERFECT SAINT BERNARD, THEN THE SAINT BERDOODLE IS FOR YOU. I HAVE BEEN BREEDING DOODLES FOR OVER 14 YEARS AND HAVE FOUND THIS TO BE THE PERFECT BREED. MY GOAL IN BREEDING THESE WONDERFUL PUPPIES IS TO PROVIDE THOSE OF YOU THAT WANT A SAINT BERNARD BUT DUE TO ALLERGIES/HEALTH PROBLEMS ARE UNABLE TO OWN A SAINT BERNARD OR FOR THOSE WHO JUST CANNOT HANDLE THE SHEDDING AND DROOLING OF OWNING A SAINT BERNARD. THE SAINT BERDOODLE IS A CROSSING BETWEEN A SAINT BERNARD AND A STANDARD POODLE. THEY ARE BEAUTIFUL, LARGE, LOW TO NON-SHEDDING AND NON DROOLING. WE LOVE AND STAND BEHIND OUR PUPPIES 100% FOR THEIR ENTIRE LIFE. ALL PUPPIES ARE CKC REGISTERED F1 OR F1B SAINT BERDOODLE PUPPIES. F1 SIMPLY MEANS THE FIRST BREEDING/GENERATION OF THE BREED. A F1B SAINT BERDOODLE IS A SAINT BERDOODLE F1 THAT HAS BEEN BREED BACK TO A STANDARD POODLE OR SAINT BERNARD RESULTING IN A 25/75% SAINT BERDOODLE RESPECTFULLY. THE PUPPIES WILL BE EXAMINED BY OUR VET, UP TO DATE ON THEIR SHOTS, WORMING SCHEDULE, FLEA MEDICATIONS AND HEART GUARD PREVENTIVE PER AGE RESTRICTIONS. THEY WILL COME WITH THEIR SHOT/WORMING RECORD, CKC PAPERWORK, BABY BLANKET WITH MOMS SENT ON IT AND MICRO CHIP FOR AN ADDITIONAL FEE. THE COST FOR THESE BEAUTIFUL PUPPIES IS $1800.00. IF YOU NEED TO SHIP YOUR PUPPY IT USUALLY IS AN ADDITIONAL $400, WHICH INCLUDES THE FLIGHT, TRANSPORTATION TO THE AIRPORT, FOOD/WATER BOWL, TRAVEL CRATE AND VET HEALTH CERTIFICATE. IF YOU WOULD LIKE TO BE PLACED ON THE WAITING LIST FOR ONE OF OUR FUTURE PLANNED LITTERS PLEASE CALL ME AT 865-221-4353 OR YOU MAY E-MAIL ME AT STANDARDPOODLEFAN@GMAIL.COM. FOR FASTER RESPONSES I RECOMMEND CALLING ME AS I ONLY CHECK MY E-MAIL 1 OR 2 TIMES A WEEK. DUE TO OVERWHELMING DEMAND FOR MY PUPPIES I DO REQUEST A $100.00 NON-REFUNDABLE EARNEST DEPOSIT TO BE PLACED ON THE WAITING LIST. THIS DEPOSIT WILL BE APPLIED TO THE FINAL PUPPY PURCHASE PRICE. THIS DEPOSIT HELPS TO WEED OUT SERIOUS BUYERS AND THOSE THAT ARE NOT SO SERIOUS AND MAKES MY LIST MORE ACCURATE AND MANAGEABLE. 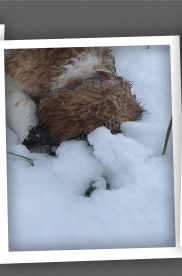 THANK YOU FOR CONSIDERING ONE OF OUR QUALITY SAINT BERDOODLE PUPPIES TO ADD TO YOUR FAMILY. 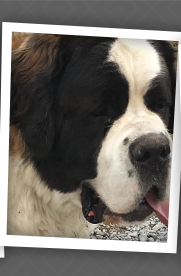 BELOW I HAVE PROVIDED SOME GENERAL INFORMATION ON THE SAINT BERNARD BREED, REFERENCING HISTORY, CHARACTERISTICS, COAT/GROOMING, HEALTH AND LIFE SPAN. AGAIN THANK YOUR AND GOD BLESS. THE SAINT BERNARD HAS MANY DIFFERENT THEORIES AS TO ITS ORGINATION. IT IS BELIEVED TO BE RELATED TO THE SWISS MOUNTAIN DOG AND HAS BEEN THE SWISS NATIONAL DOG SINCE 1884. THE SAINT BERNARD IS ALSO RELATED TO THE ALPINE MASTIFF AND TIBETAN MASTIFF. IT IS KNOWN TODAY AS ONE OF THE MOLOSSOID BREEDS DESCENDED FROM THE ROMAN MOLOSSIAN DOGS OF ANCIENT ROME. THE SAINT BERNARD'S HISTORY IS MOSTLY DOCUMENTED BY THE MONK'S OF THE HOSPICE THE GREAT SAINT BERNARD PASS IN THE 16TH CENTURY. THE GREAT SAINT BERNARD PASS WAS LOCATED BETWEEN ITALY AND SWITZERLAND WHICH MANY PEOPLE HAD TO CROSS THROUGH DURING THIS TIME. THE PASS WAS VERY DANGEROUS DUE TO THE EXTREME COLD, SNOW AND AVALANCHE'S THAT WOULD OCCUR IN THE AREA. THE SAINT BERNARD'S WERE USED DURING THIS TIME BY THE MONKS IN SEARCH AND RESCUE TO TRACK PEOPLE PASSING THROUGH THAT WERE INJURED OR STRANDED BY THE AVALANCHES THAT OCCURRED. THE SAINT BERNARDS HAD A HIGHTENED SENSE OF SMELL WHICH ENABLED THEM TO LOCATE PEOPLE IN NEED. THEY WOULD LOCATE THE PEOPLE, LICK THEIR FACES TO KEEP THEM AWAKE AND LIE ON THEM TO KEEP THEM WARM UNTIL THEY WERE RESCUED. THE MONKS DENIED THAT THE SAINT BERNARDS CARRIED BARRELS OF BRANDY AROUND THEIR NECKS DURING THIS TIME TO GIVE TO THOSE STRANDED TO KEEP THEM WARM. THE BARREL OF BRANDY APPEARS TO BE A MISTORY. THE SAINT BERNARD OF THIS TIME DID NOT LOOK LIKE THE SAINT BERNARD WE KNOW TODAY. IT HAD A SHORT COAT AND MANY OF THEM WERE KILLED DURING A FEW DECADES OF EXTREME WEATHER CONDITIONS PRIOR TO THE MID 1800'S. IN ATTEMPTS TO PRESERVE THE BREED THE SAINT BERNARD WAS CROSS BRED WITH THE NEWFOUNDLAND IN THE 1850'S, PRODUCING A DOG WITH A LONGER THICKER COAT WHICH DID NOT FAIR WELL IN THE WET SNOW. 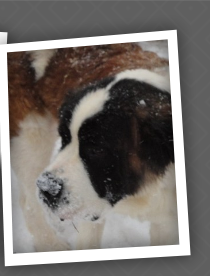 IN THE PAST THE SAINT BERNARD WAS USED ON FARMS FOR GUARDING, HERDING, DRAFTING AND COMPANIONSHIP. THE SAINT BERNARD IS A ONE OF THE MOST POPULAR LARGE BREED DOGS. THEY ARE GENTLE GIANTS, VERY LARGE, MUSCULAR AND POWERFUL. THE SAINT BERNARD IS A VERY INTELLIGENT DOG, FRIENDLY, LOYAL, LOVING AND AFFECTIONATE. THEY ARE NOT VERY PLAYFUL, MORE CALM AND CONTENT TO JUST LIE AROUND IN A COOL PLACE. THEY ARE NOT AN AGGRESSIVE DOG BUT DO REQUIRE OBEDIENCE TRAINING AND ATTENTION AS PUPPIES TO PREVENT THEM FROM BECOMING FEARFUL OF PEOPLE AND TIMID. AN UNTRAINED SAINT BERNARD CAN BE A NIGHT MARE, SINCE THEY ARE SO LARGE AND POWERFUL. TODAY THE SAINT BERNARD IS USED IN CARTING, WEIGHT PULLING, IN OBEDIENCE COMPETITIONS, AS THERAPY DOGS AND COMPANIONS. THEY WILL BARK TO PROTECT THEIR ENVIRONMENT BUT ARE NOT GOOD GUARD DOGS, OTHER THAN THEIR SIZE WILL TYPICALLY DETOUR ANYONE THAT IS TRYING TO ENTER THEIR HOME. ACCORDING TO AKC BREED STANDARDS THE MALE SHOULD BE A MINIMUM OF 27 1/2" AT THE SHOULDER AND THE FEMALE 25 1/2" AND WEIGHT BETWEEN 130 TO 180 LBS. THE SAINT BERNARD CAN COME IN EITHER A VERY DENSE ROUGH OR SMOOTH COAT. THE ROUGH COAT IS THE SAINT BERNARD WITH LONG HAIR AND THE SMOOTH COAT IS A SHORT COAT. THE SAINT BERNARD IS A SEASONAL HEAVY SHEDDER AND WILL REQUIRE MORE GROOMING AND BRUSHING DURING THESE TIMES OF THE YEAR. THEY SHOULD BE BRUSHED A COUPLE TIMES A WEEK, GROOMING EVERY 4 TO 8 WEEKS AND THE EARS SHOULD BE CLEANED WEEKLY WITH A VET APPROVED EAR CLEANSING SOLUTION. THE TEETH SHOULD BE BRUSHED DAILY TO PREVENT TOOTH DECAY AND GINGIVITIS. THE NAILS SHOULD BE TRIMMED AS NEEDED WHEN GROOMED. BOTH TYPES OF COATS DO VERY WELL IN COLD ENVIRONMENTS, WHICH SAINTS BERNARDS THRIVE IN. THEY DO WELL IN WARM CLIMATES IF PROVIDED WITH AIR CONDITIONING AND COOL ENVIRONMENT TO LIVE IN. THEY TEND TO LOVE THE WATER AND PLAYING IN THE SNOW. 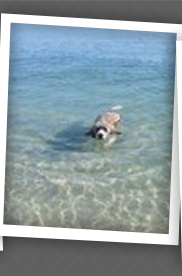 IT IS RECOMMENDED TO TAKE YOUR DOG FOR SHORT WALKS IN THE EARLY MORNING OR LATE EVENING TO PREVENT HEAT EXHAUSTION. AKC COAT RECOGNIZED COLORS INCLUDE: BRINDLE AND WHITE; BROWN AND WHITE; MAHOGANY AND WHITE; ORANGE AND WHITE; RED AND WHITE; WHITE AND BROWN; WHITE AND ORANGE; WHITE AND RED; MARKINGS: BLACK MASK. THE SAINT BERNARD'S AVERAGE LIFE SPAN IN THE UNITED STATES IS 8 TO 10 YEARS, ALTHOUGH SOME DO LIVE LONGER. THE SAINT BERNARD IS PRONE TO SEVERAL HEALTH CONCERNS, INCLUDING FAST GROWTH RATE AS A PUPPY WHICH CAN DAMAGE THEIR BONES IF NOT PROVIDED WITH THE PROPER NUTRITION. I RECOMMEND A LARGE BREED PUPPY FORMULA WITH GLUCOSEMINE, DO NOT FEED YOUR SAINT BERNARD OR SAINT BERDOODLE A CHEAP DOG FOOD AS THIS WILL IMPAIR THEIR BONES, HEALTH, INCREASE LOOSE STOOLS AND THEY WILL JUST SIMPLY EAT MORE OF THE FOOD THAN PROVIDING THEM WITH A GOOD NUTRITIOUS DIET. HEALTH CONCERNS THAT CAN BE A PROBLEM WITH THIS BREED IS AS FOLLOWS: HIP/ELBOW DYSPLASIA, OSTEOSARCOMA, OSTEOCHONDRITIS DISSECARS (OCD), CERVICAL VERTEBRAL INSTABILITY, ENTROPION, ECTROPIN, DISTICHIASIS, GASTROINTESTINAL BLOAT, DIABETES, HOT SPOTS, EPILEPSY, SEIZURES, DILATED CARDIOMYOPATHY AND ECZEMA. A LOT OF THESE CONCERNS ARE TREATABLE.